Photo courtesy of Jack Poust & Co. Bottoms Up serves up the pour on beverages (wines, beers, spirits, mixed drinks, soda, juices, fruit drinks, coffee, tea, shakes, smoothies and more). For holiday and New Year toasts, a top-notch affordable bubbly you’ve probably never heard of. Plus, a guilt-free nonalcoholic option. In 1531, more than a century before Moët & Chandon began producing their famed Dom Perignon, the Abbey of Saint-Hilaire in southern France was making sparkling wine (some say the famed Benedictine monk perfected his winemaking skills here). The lesser known but no less appreciated wine producer went on to boast Thomas Jefferson as a client. 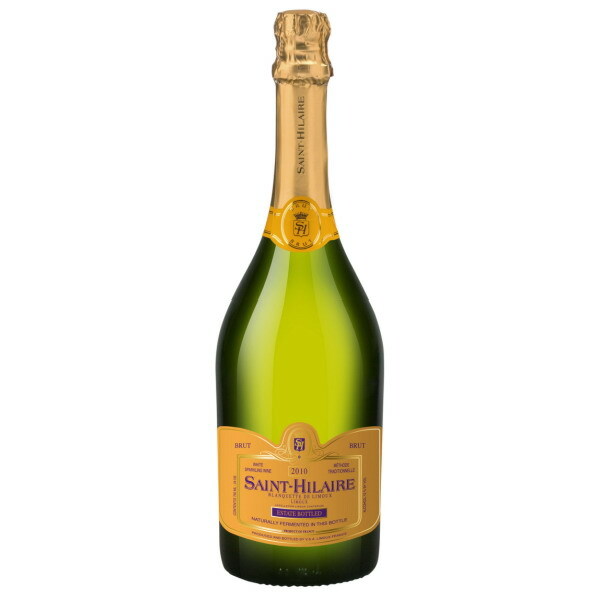 Even so, Saint-Hilaire’s Blanquette de Limoux still flies under the radar of most sippers, and although it doesn’t bear the “Champagne” name, this sparkler is surprisingly better than most that do. The best-selling Brut is highly praised (Wine Spectator 89 rating) but the extra-dry is less overbearing—while the “semi-sweet” is even lighter on the palate. So even though we don’t condone overdoing it, with a price tag hovering between $15 and $20 (we’ve seen it on sale for $9.99), if you decide to pop too many corks this holiday season, at least you won’t break the bank in the process. Available at select wine retailers nationwide and globally. 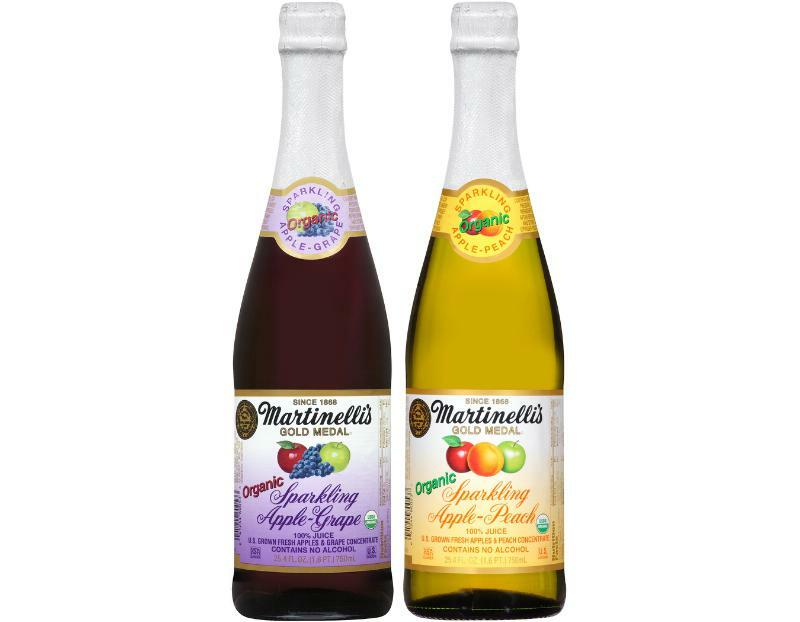 Martinelli’s Sparkling Organic Apple-Grape and Sparkling Organic Apple-Peach. Photo courtesy of S. Martinelli & Company. Those in a festive mood who would rather avoid the fermented grape should consider the new sparkling juices by Martinelli’s, a family-owned American maker of award-winning fruit beverages since 1868. Produced in apple-grape and apple-peach flavors, they are light, fruity and refreshingly crisp. Best of all, Martinelli’s uses only certified organic locally grown apples (and organic grape and peach concentrates), without adding sweeteners or preservatives. Finally, a clear head deliciously meets a clear conscience. $4.50 to $5.50; available exclusively at Whole Foods. This entry was posted in Drinks, Food, Uncategorized and tagged apple cider, apple juice, champagne, juice, organic, organic drinks, organic juice, Saint-Hilaire, sparkling wine, wine. Bookmark the permalink.